Mitt Romney released 550 pages of tax returns Tuesday. News organizations are making their way through them. Here’s our guide to where to look to make sense of the numbers. In response to growing pressure from voters and competitors, Republican presidential candidate Mitt Romney released 550 pages of tax returns Tuesday, covering two years of income. As one of the richest men ever to run for President, Romney's filings are enormously complex, and the subject of close scrutiny. News organizations are making their way through the returns. Here's our guide to where to look to make sense of the numbers. The Washington Post, one of the news outlets with early access to the returns, reports that Romney got most of his income -- $21.7 million in 2010 and $20.9 million in 2011 — from profits, dividends or interest from investments. As you can see in the Post's annotated guide, none of that money came from wages or salaries, which is the main source of income for most Americans. Because most of his earnings came from capital gains, Romney paid just under 14 percent of his income in taxes in 2010. In comparison, in 2010 Obama was taxed at 26.3 percent and Gingrich at 31.7 percent. Even these figures understate the difference: Romney paid Medicare taxes on only his speech fees, while most Americans pay the 1.45 percent Medicare levy on nearly all of their income. See more candidate comparisons in this New York Times chart, or this one from CNN. The American Enterprise Institute blog notes that Romney actually pays a higher effective tax rate than 60 percent of Americans (a family making around $45,000 would have an effective tax rate of 7.4 percent). But as Reuters explains, 14 percent is less than half the top rate on ordinary wages, which can be taxed up to 35 percent. 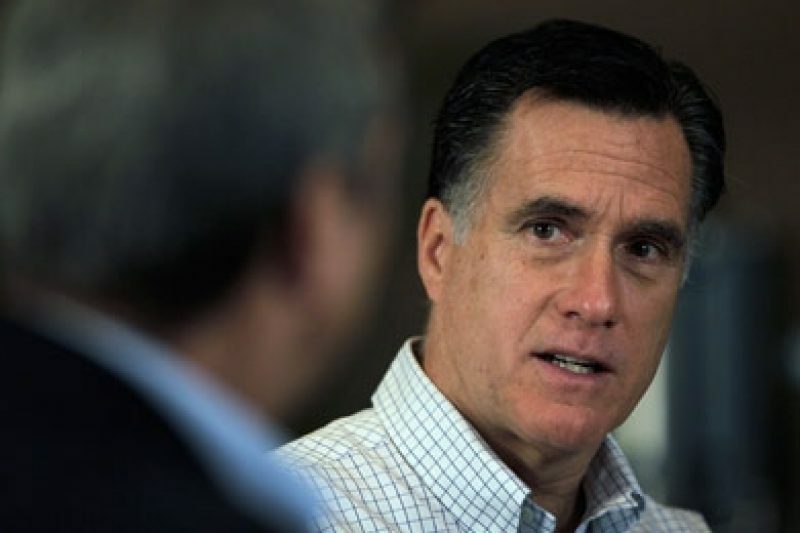 Romney paid or will pay a total of about $6.2 million in taxes on his income from 2010 and 2011. Over those two years, he and his wife Ann have given about the same amount in charitable donations, including $4.1 million to the Church of Jesus Christ of Latter-day Saints. The Salt Lake City Tribune notes that Romney is one of the Mormon Church's biggest benefactors, and pays about a tenth of his income in tithe. Speaking fees: Last week Romney told a crowd in South Carolina: “I get speaker's fees from time to time, but not very much." Turns out his author/speaking fees amounted to precisely $528,871 in 2010, and $110,500 in 2011. The top 0.006 percent: According to the IRS, anyone who makes more than $10 million would be in the top 0.006 percent of taxpayers (according to their latest numbers from 2009). With an income of $21 million in 2010, Romney would be even higher. Mortgage? Like Gingrich, Romney doesn't seem to have a home mortgage, as neither took a deduction in 2010. Obama, on the other hand, took a home mortgage interest deduction of $49,945. Romney's 2010 tax return indicated he had a "bank account, security account or other financial account" in Switzerland, but the account was closed in 2010, his aides told the Wall Street Journal. The return also reports financial accounts in Bermuda and the Cayman Islands. As noted in Bloomberg Businessweek, the recent release is likely to spark renewed controversy over how the tax code treats the extremely wealthy. The phrase at the center of this debate is “carried interest.” Partners in private equity firms, hedge funds and real estate developments get most of their compensation through carried interest, and since those earnings don't count as ordinary income, they are taxed much less. Put simply, carried interest is a share of a partnership's profits that is taxed as a capital gain as opposed to ordinary income. It is a good deal: The top rate on gains held longer than a year is 15%, so the tax on carried interest is usually less than half the top 35% rate on ordinary income. There aren't FICA or Medicare taxes, either. Benjamin Ginsberg, the Romney campaign's chief counsel, disclosed to the New York Times that Romney earned $7.4 million in carried interest from private equity firm Bain Capital in 2010. In a political climate characterized in part by the Occupy movement and “99 Percent,” these concerns aren't likely to disappear any time soon. In fact, as Politico notes, the Romney tax returns are fodder for the White House, which plans to tackle precisely this issue of economic fairness at tonight's State of the Union.